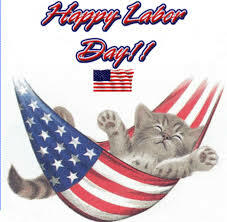 I hope everyone has a Happy Labor Day. What does one do on Labor day besides relax in a hammock or have a big family picnic? What is labor, really? I’m a writer but sitting down to write isn’t labor to me, it’s rejuvenating, inspiring, and fun. I love to read fiction, but all the time that I’m enjoying the story, I’m analyzing how the author hooked me and keeps me turning the pages. But that’s not work to me. I like to take an early morning walk. I talk to the trees, birds, and friendly cats in the neighborhood. It’s the must-do daily exercise but it isn’t laborious to me. So now that you know what I’ll be doing, what will you do this labor day? went to a family BBQ in San Martine (Gilroy Area) Kenny pulled our new ( used) fifth wheel for the first time. It was a perfect weekend. Love and miss you.